Item # 290900 Stash Points: 1,795 (?) This is the number of points you get in The Zumiez Stash for purchasing this item. Stash points are redeemable for exclusive rewards only available to Zumiez Stash members. To redeem your points check out the rewards catalog on thestash.zumiez.com. 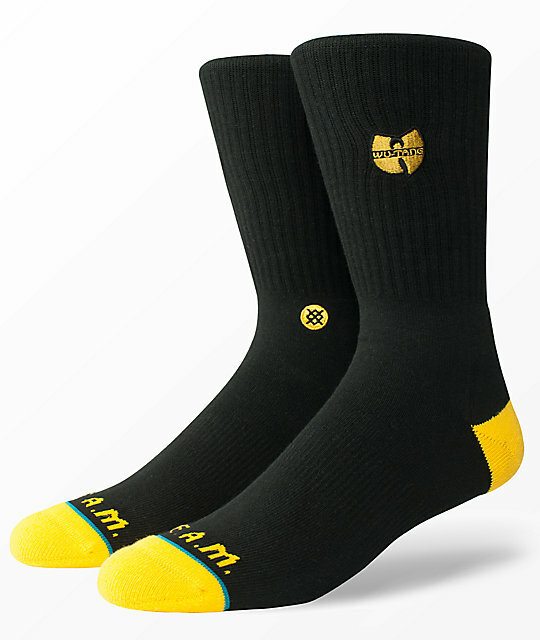 Step up your sock game with the Wu-Tang Patch Black Crew Socks from Stance. Featured in black with yellow accents and a gold Wu Tang symbol embroidered on the upper cuff. Wu Tang Patch Black Crew Socks from Stance. Black & yellow w/ embroidered Wu-Tang logo. Athletic ribbed cuff for secure fit.